Here are some of my favourite pics from my Instagram feed (@jacquifink) over the last week. This is my youngest child Elodie. She has just started Grade 1 and is super keen to learn to read, despite having difficulties in that department. 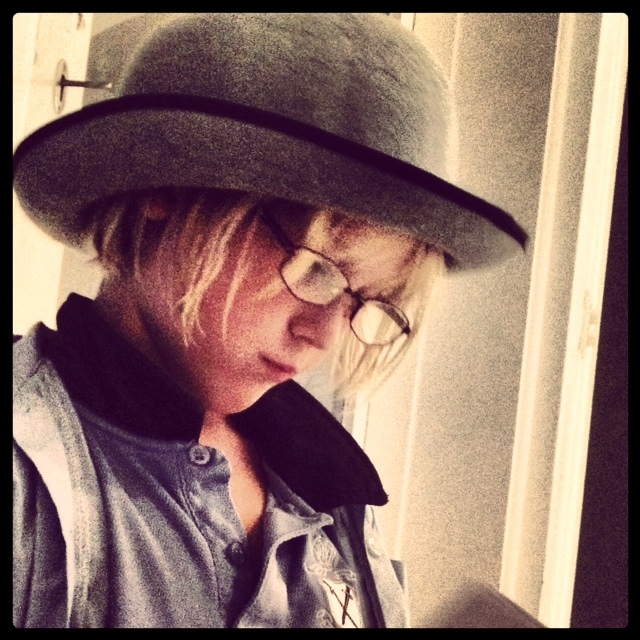 Elodie appeared in this getup last Sunday evening with book in hand and sporting her brothers glasses. Elodie has her own set of glasses but apparently life is so much more interesting looking through her brother's eyes. Our house faces West so we appreciate beautiful sunsets everyday. Some sunsets are more spectacular than others, including this one. My Hubby and Sister are also on Instagram. Our neighbours too. When the sunset is really gorgeous you can be sure to find a pic of the same sunset on all of our Instagram feeds. However, it may be the same sunset but the pics end up being totally unique from one another. I'm planning an exhibition this year with my insanely creative friend Lara Hutton who, when not busy being a leading Australian stylist, makes the most delicate and divine ceramics. The theme of our exhibition is the sea. 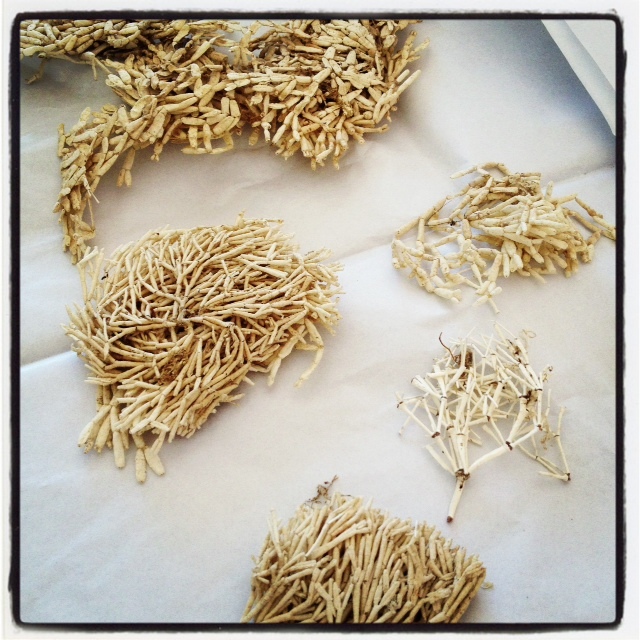 I spied the exquisite pieces of sea grass above on the Instagram feed of Kara Rosenlund from Travelling Wares. Kara is a buyer, stylist, blogger and owner of the cutest vintage caravan you have ever laid eyes on. In her spare time, Kara sources and sells one off vintage finds through her online shop and at markets by setting up shop in Frankie, the little caravan that could. Kara kindly sent the sea grass to me just because she knew I loved them. This is one generous soul. And she has the cutest free range chooks imaginable. Thank you Kara x. You can follow Kara's pictorial journey on Instagram @kararosenlund. I have a number of custom orders on the go at the moment and it is quite a juggle balancing my knitting with everything else in my life. When a client approaches me about a custom order, I make up for them a little bundle of woollen samples so they can feel the wool and appreciate the beautiful colours first hand. It makes choosing a colour so much easier than going off a photo. I always get a thrill putting these bundles together because I know they are always lovingly received. This is one of my latest custom orders whilst still on the needles. I have since finished knitting this piece but it sits waiting patiently for some sustained sunshine so it can felted. This woollie is to be trimmed with a dark navy. It will be quite a classic.